Clarke’s manufactures Flatback elbows for Low Pressure Pneumatic systems. Flatback elbows are designed to resist abrasion in systems moving abrasive or corrosive materials. 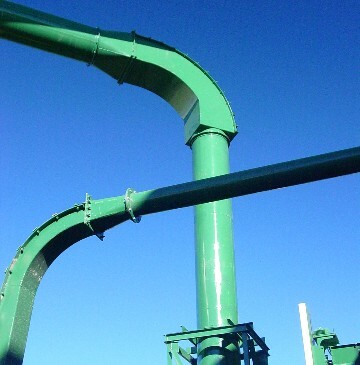 In a flatback design, material is transfered in and out of the elbow quickly and discharged into the center of the pipe. Contact a Clarke’s Sales Person to help you select the right type of Flatback elbow for your application.